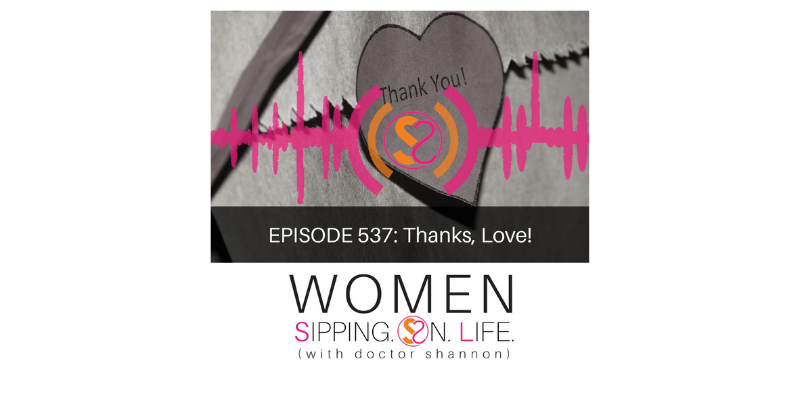 Today’s episode was inspired by a couple of our listeners, and is exactly what you need when you’re ready for a change, but don’t know how to create change without feeling alone, guilty, or scared. “DietFanatic — So happy to find Dr. Shannon’s S.O.L. podcast. “Thanks, Love!” And I smiled from the inside out and back again. I say that even to the few one star reviews that I’ve received, including the “not so nice” review. So, why am I sharing this today? Well, first of all, not everyone is going to LOVE you, or LIKE you or what you have to say. Not everyone is going to be kind, supportive, and encouraging. In fact, sometimes people are going to be down right mean and nasty. Why? I don’t know why they are, except life has shown me that when people are hurting, they do and say things that hurt others. Also, a lot of times they’re not doing IT to YOU. Whatever “IT” is. When someone does something that hurts us, we think that they need to apologize to us before we can release the pain and suffering. When the truth is, waiting to release your pain and suffering until someone realizes that they hurt you and apologizes for it not only causes a lot of unnecessary suffering, but a dependency that’ll rob you of your freedom. Then we must forgive ourselves for holding onto anything, or anyone, that’s causing unnecessary suffering. When we do this, we release ourselves to freely love and live our lives. This brings me to a very sweet email that I received this morning. A big shoutout to C.C. for reaching out and sharing. Bless yourself by believing their actions, and your TRUTH, and moving ahead in truth. Say, “Thanks, Love!,” and keep moving. A grateful heart is a heart and soul filled with GREAT. Give it to yourself, and receive it, my dear. You’re NOT alone, you’re not guilty, and guess what? Your SACRED is on the other side of your SCARED. Please give yourself a big hug right now. I mean it, right now. Because LOVE not only LOVES YOU. Love created you and is here to help you create the LOVE in your life that you desire. It starts with you. Within you. Remember who you are and what you desire. Then give thanks and move ahead. If you feel compelled to, please share a rating/review for the podcast, or send me an email and let me know how you’re doing.